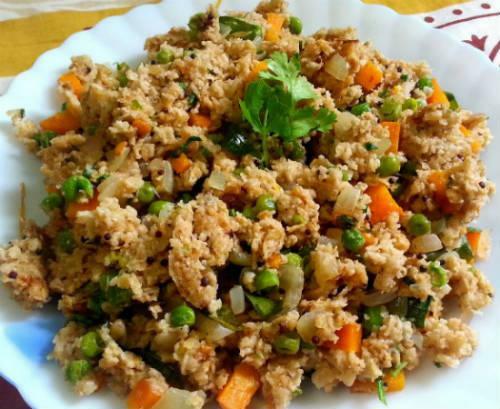 A delicious breakfast or evening snack dish with oats. 1. Soak the oats in boiling hot water for 2 minutes and drain well. 5. Add the onions, peas, carrots, green chillies and tomatoes. 6. Saute for a minute or two. 7. Add red chilli powder, salt and oats. 8. Stir well and cook for a minute. 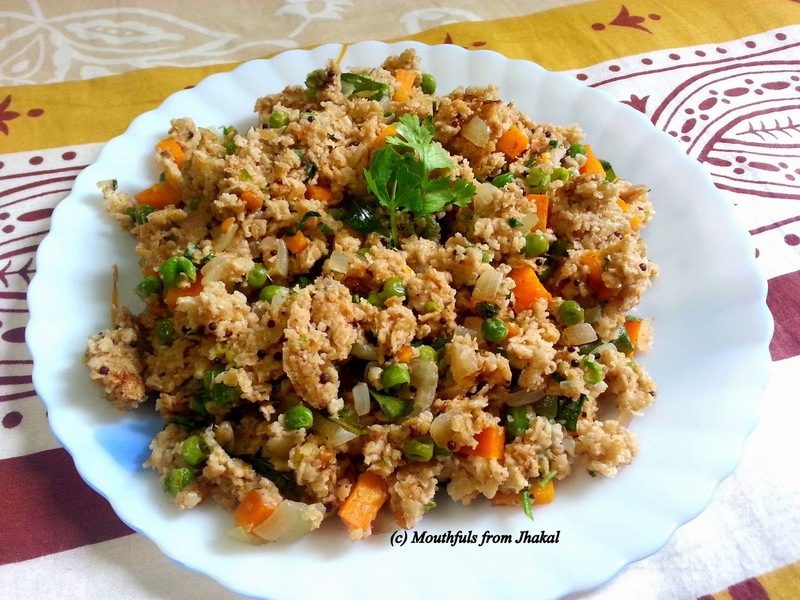 Feel free to comment or share your thoughts on this Oats Masala Upma Recipe from Awesome Cuisine.